The best attorneys are hard to find. Finding the best personal injury attorney can be a bit of a challenge. Nowadays there are companies called “aggregators” These companies are really just advertising agencies that look like a law firm. When you call them, they “sell” your case to a real lawyer in your area. The problem is you have no idea who that “real” lawyer is. Somewhere in the paperwork will be a paragraph that says you didn’t actually hire the aggregator but instead you hired a lawyer. This happens in just about every field. I know a guy who runs ads to look like all the big solar companies and then sells the “lead” to the highest bidder. He does all of this from his cell phone on the ski slopes in the winter. It’s a pretty good gig if you understand the business and are the guy making the money. It isn’t a good deal for the consumer who has no idea who they are hiring or the business owner who is paying extra for a customer that might not be a good fit. The best attorneys in California have a record. One of the first things that sets the best attorneys apart from the crowd is their record. Attorneys don’t leave law school and suddenly open up as the best attorney in California. They work for larger firms and get the experience they need before hanging their own shingle. The best attorneys will have a winning record. With personal injury attorney’s they also need a checkbook since most of them are covering the expenses of the case until they get a settlement that favors the client. The trick is finding those attorneys. When you find an attorney, ask them how many cases they have won. If they are losing more than 25% of their cases, find a new attorney. Winning attorneys have a winning track record. The best personal injury attorneys in California don’t make you pay. In California and many states, it is common practice for for cases to be accepted on “contingency”. When an attorney takes your case on contingency it means they don’t get paid unless you win. You don’t have to write them a check to get started. If all attorneys had to work this way, lawsuits might be more reasonable. The best attorneys have been around for a long time. The last thing that you will notice when you look for the best personal injury attorneys is that the good ones have been around a while. Many of the top firms are more than 25 years old. That doesn’t mean your lawyer is old, it just means the attorney in charge who is coaching your case has a lot to experience. You might get a young attorney, but if they are at an old firm, your chances are probably a little better. 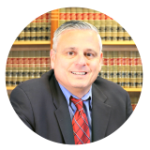 The bottom line when looking for a personal injury attorney is this: You are looking for a firm with a long track record of wins, not a phone number on the bus that will charge any attorney for the case.